The device is essentially a portable Android computer to ‘smarten’ your TV. The EvoTV2 is best value for those whose TV is not ‘smart’, because it lets you use your TV as a web browser. 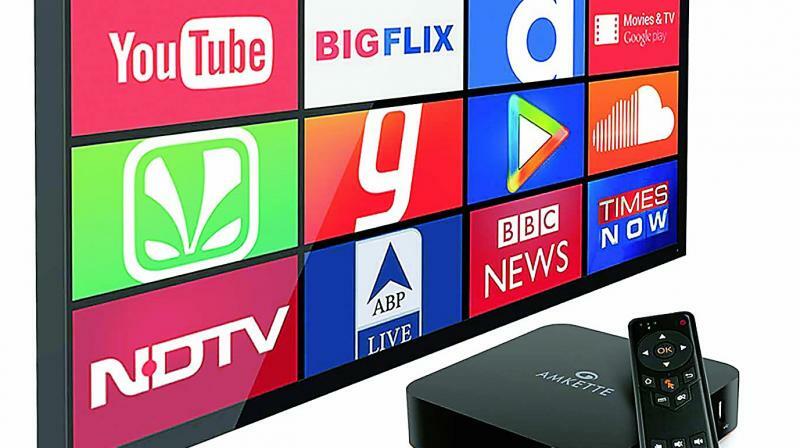 They are part-free, part-fee, but the explosion of video-on-demand services in India like Hooq, Hotstar, Eros Now, and lately Netflix, has had one big effect: We now live in a world of multiple screens — PC, tablet, phone and television. We download stuff from the Net on our phones or people keep sending videos through WhatsApp — and we want to view them on the largest screen we have, the TV. Which is why, a media player like Amkette’s Evo TV2 is so timely. It works like a clearing house, enabling the user to send content from any device to the TV; to store programmes or movies offline on a hard disk drive to play back any time; to organize all the music, TV serials or movies, using the pre-loaded Kodi app or just switch seamlessly between live TV channels and web channels like YouTube. The umbilical cord that binds all this together, is Wi-Fi — and EvoTv2 (this is the new upgrade of a device first launched in 2012), needs a home wireless Internet connection to start working. It takes just a couple of minutes to add the box (and the TV) as another node on your home Wi-Fi. The EvoTV2 is best value for those, whose TV is not ‘smart’, because it lets you use your TV as a web browser. 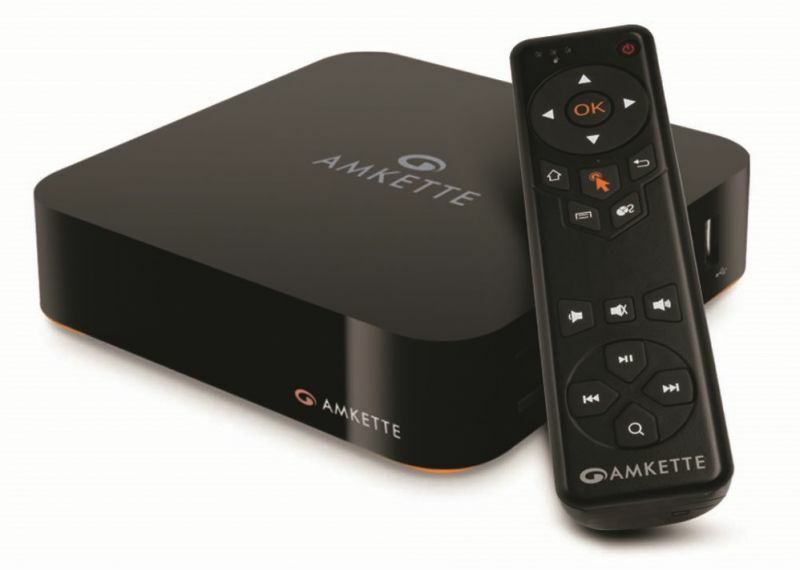 Amkette has included all the most popular Net video services as ready-to-click icons. The device is in effect a small Android computer with 8 GB of storage and 1 GB of RAM, with full HD capability, and a generous 4 USB slots. You can play just about any popular format of audio or video. One downside is the tight embrace of Google and Android: None of the functions will work unless you have registered as a Google Play user, or have a Gmail account. If that is not an issue for you, then Rs 6,999 may seem a fair price to ‘smarten’ your TV.